Caption slip reads: "Photographer: Grey. Date: 1958-05-15. Reporter: Grey. Assignment: Teenage musician. Special instructions: Monday w/ clipping to Erwin Baker. 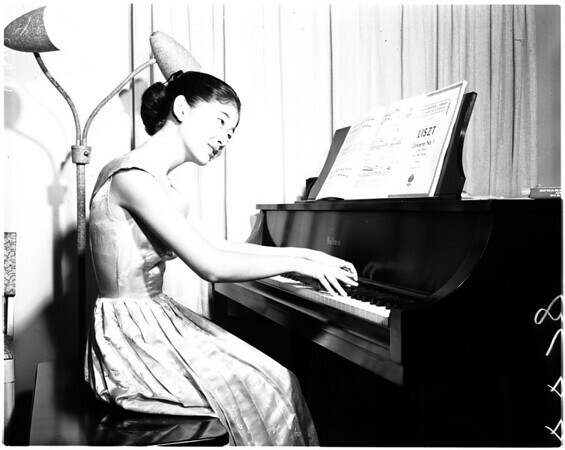 78/90: Pauline Cheng 15, contest winner at her piano".